Apple announce new 16GB 4" Retina-equipped iPod Touch! 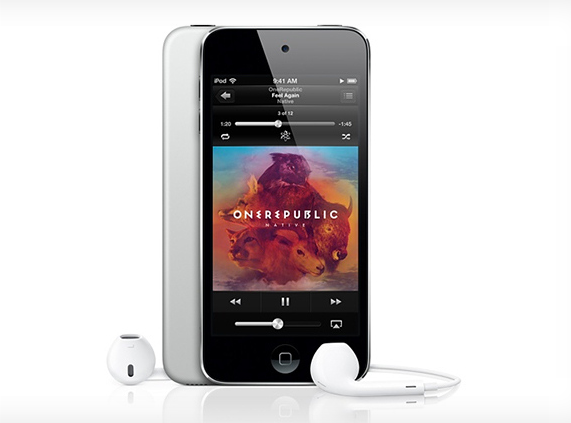 Today Apple have launched a brand new iPod Touch: it's a new 16GB model which effectively replaces the 4th generation which had 16GB of storage on board, which has been discontinued. This 16GB model is key to Apple because the 5th generation iPod Touch only has 32 or 64GB storage options and the smallest storage option is cheapest so probably sells the most! This new model features the new 4-inch Retina display, a nice and powerful dual-core A5 processor, and there's a front-facing FaceTime camera which is labelled as 'HD' but we're not sure if that's 720 or 1080p. All of this is crammed into the tiny 6.1mm-thick frame as the past generation. Obviously there's no rear camera on this device and Apple have decided to ditch the lanyard hook like before. The new 16GB variant will set you back $229 if you want black or silver colours and apparently it'll be in the mail within 24 hours! If you're interested in one then you can get one here!